Photography by Justin and Emily: TAX SCAM ALERT ! I got an email this morning that, when viewed on my phone, through bleary eyes at 7am, looked legit. Money back from the government from my taxes? Sounded to good to be true....and it was. I then checked it on my laptop a bit later and it was instantly looking fishy (or phishy - which, incidentally, is where the word comes from - or so the knower of all things - Wikipedia - says). 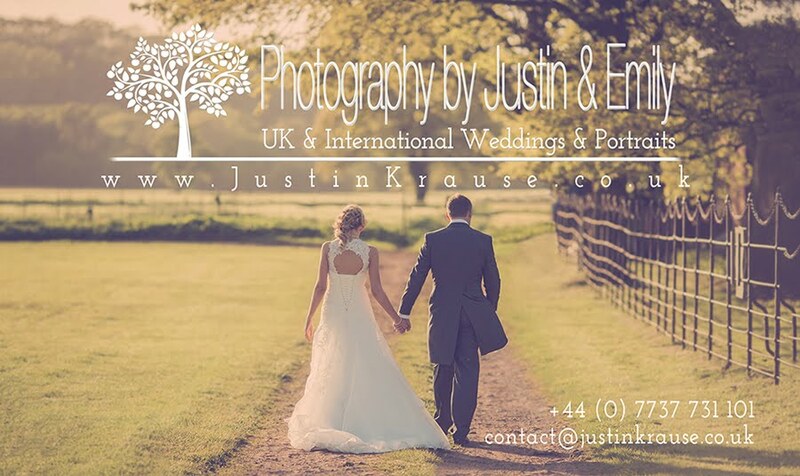 Anyway, what gave it away when I saw it on the computer was the email address to which they sent this phishing, scam email; 20weddings@justinkrause.co.uk ...yeh ok good effort, where did they get that email from? It doesn't exist. It only got through because we have a "catch-all" set up for the email server (in case anyone spells "contact", "weddings", or "LittleBear" wrong.) 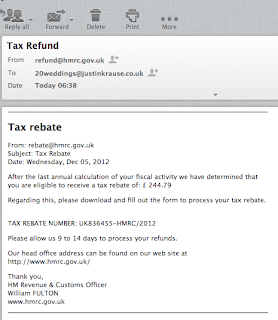 If they wanted to REALLY catch me out they could at least have used my proper email address...it's out there freely, don't be so ruddy lazy "Mr William Fulton from Her Majesty's Revenue and Customs". 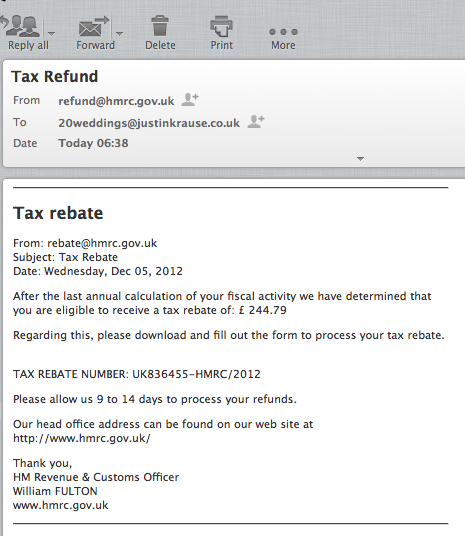 Watch out for scams kids and don't click random links or download dodgy looking files! The chances that any government will give you money back is slim to none. Never get your hopes up for that. If they do, they've probably made a mistake and will want it all back (usually after you've spent said rebate and usually at the most inconvenient time).